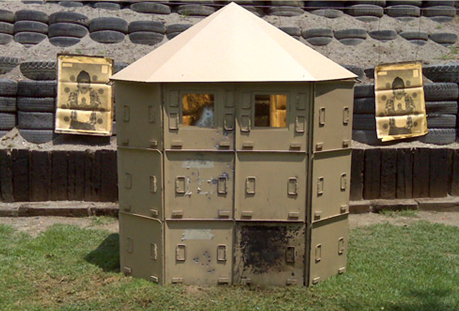 McCurdy's Armor® can be assembled into a full guard post by just three people in under ten minutes. No hand tools or heavy equipment are required for assembly. 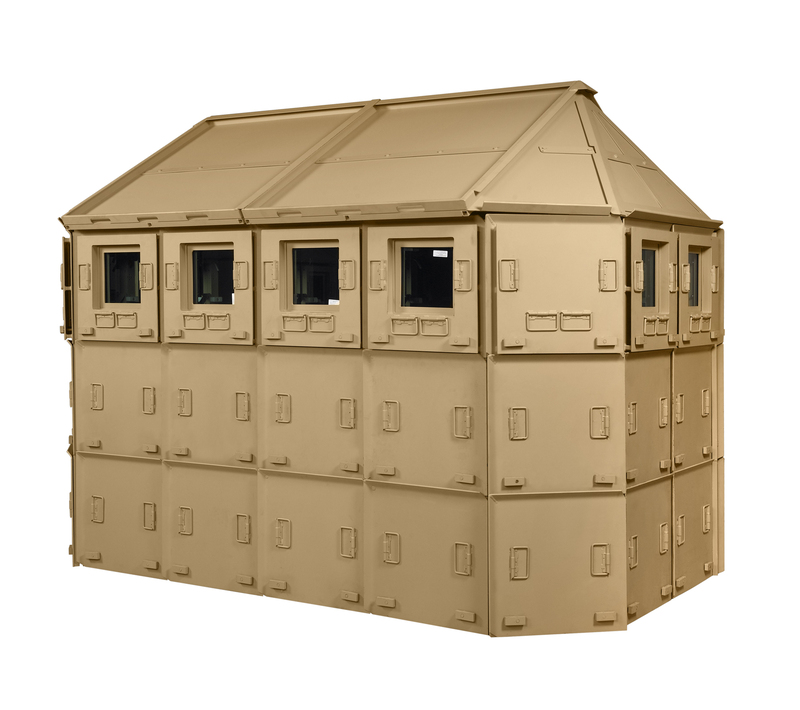 Fully-assembled McCurdy's Armor® Guard Post (B Kit). Total assembly time: under ten minutes. 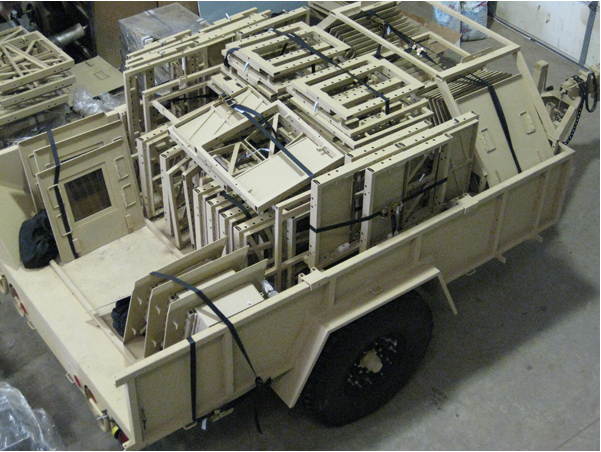 The system can be dismantled and redeployed in a similar amount of time. Tested up to 32 lbs. of TNT with frag at 3 meters. (Equivalent of two 155 Artillery shells). Grenade direct hit: tested against direct hit from 40mm round. 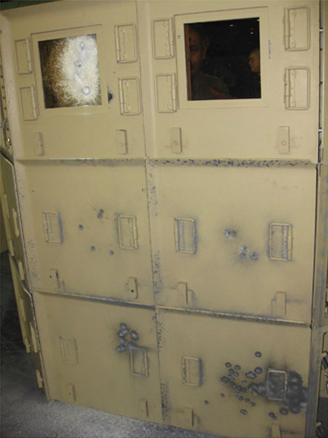 Bullet protection from McCurdy's Armor®: tested with .50 Cal APM2. 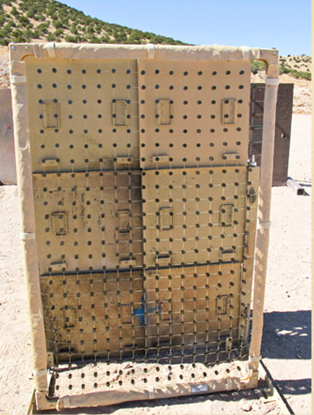 McCurdy's Armor® provides protection from RPG's. 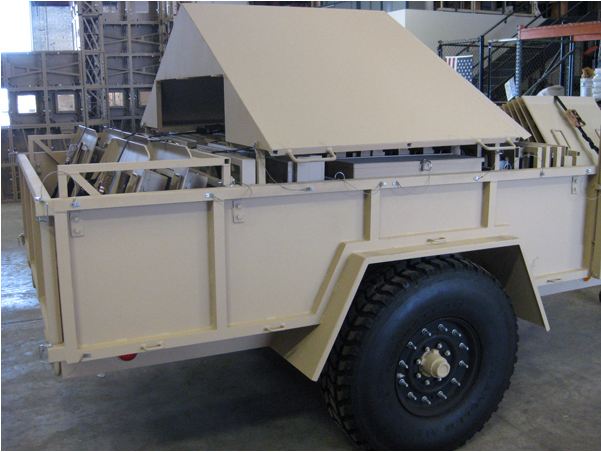 With the ability to be easily stowed and transported, McCurdy's Armor® can be packed away in the DDM105 trailer and transported for use over and over again. 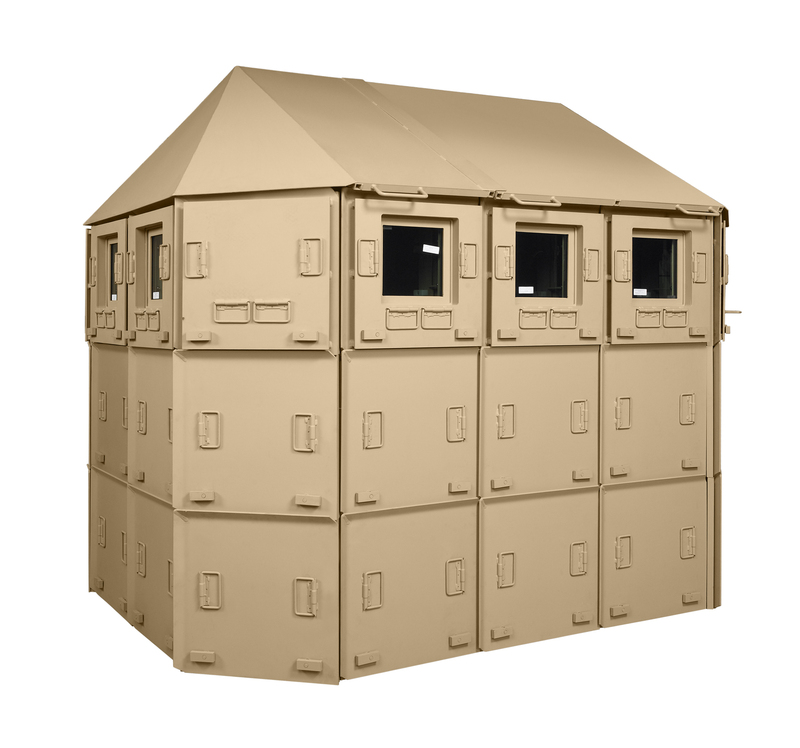 McCurdy's Armor® can be dismantled and stowed away in minutes. The system can be stored compactly to conserve space during transport. 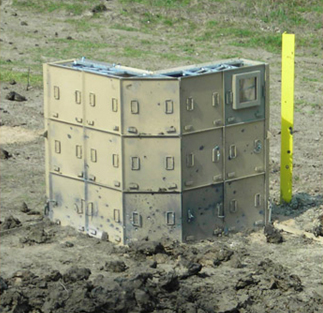 McCurdy's Armor® is easily and conveniently stowed away until it is needed in the field. 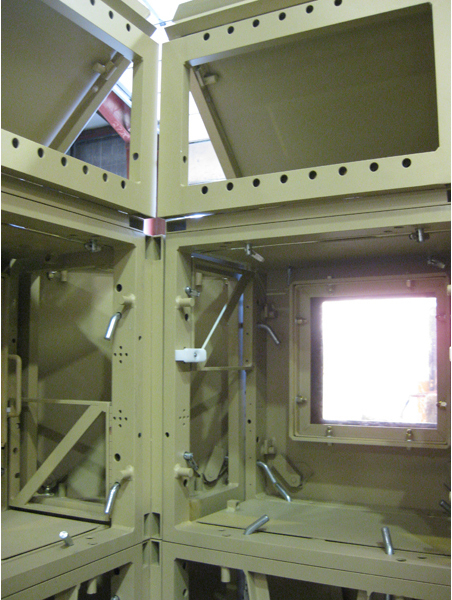 McCurdy's Armor® features transparent gun ports that provide full protection and situational awareness. 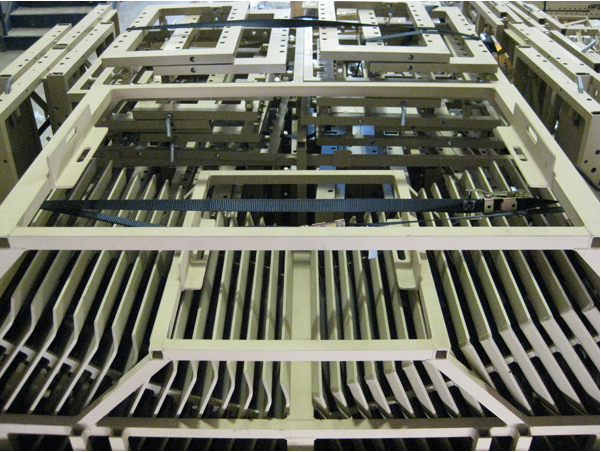 The ports quickly open into firing position when needed.